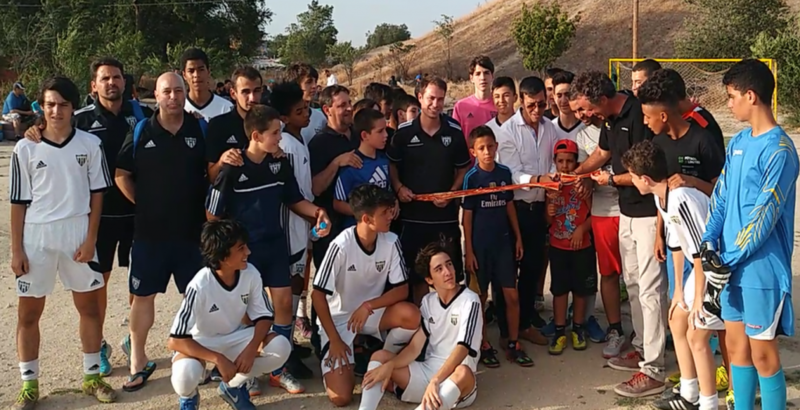 Red Deporte invited Club Deportivo Canillas to participate in the inauguration of the new football field in Cañada Real. The President of the Club, Fernando Herrero and Carlos de Cárcer, director of Red Deporte, cut the ribbon with the applause and an excellent atmosphere of all the attendees. The matches were played in cadet and children categories. CD Canillas and Cañada team both won in at least one category. We want to congratulate all the participants for the refined behaviour on the pitch and throughout the whole day. This day will be remembered as one of the most rewarding and funny for Red Deporte in Cañada, with the attendance of a numerous audience in sector six of Cañada and CD Canillas. Our team has also been invited to enjoy another football day at the CD Canillas facilities. Our most sincere gratitude to this Madrid club, founded in 1961 and having one of the main schools of football in Spain.